With all of the negatively floating around in the comic book world due to some issues with San Diego hotels, I will turn to my other big hobby which is celebrating its biggest day in a couple weeks. International TableTop Day is on April 11 and I couldn't be more excited. Now is the time to reach out to your FLGS and see if they are hosting an event and how you can get involved. If you don't have an FLGS, many other groups are hosting events and you can find one near you here. I am going to be running multiple demos and hosting a Machi Koro tournament. I wish I had a creative segue to this week's reviews, but I don't. Sorry. Nailbiter #11 - We are so close to finding out the secrets of Buckaroo, Oregon! I feel that any issue we will learn more about why this town has created so many serial killers. In the new arc (which is a great leaping on point and has a nice reference to the cover of issue #1) Finch opens with a brutal interrogation of the Nailbiter himself. Meanwhile, Barker is imprisoned by the horned man and is forced to witness truly horrifying events. The back and forth between the two subplots is one of the most terrorizing and suspenseful pieces I have ever read in a comic. 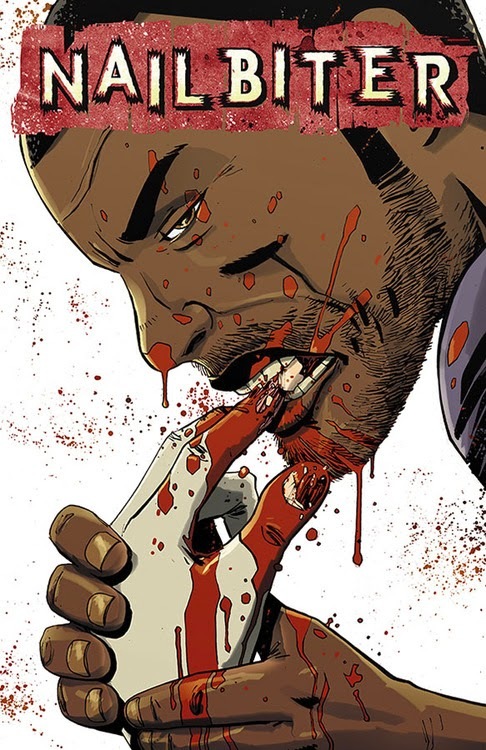 The brutality of Mike Henderson's art and the tension between Finch and Warren (the Nailbiter) make this one of the most intense issues in this series to date. It is going to be a long wait for issue #12 in May. Southern Bastards #8 - Throughout this current arc I had to hand it to the creative team (Jason Aaron and Jason Latour) behind this book that they made me feel sorry for Coach Boss. In the first four issues he was the Darth Vader of high school football. He did the bidding of the powerful individuals in town and would strike you down if you crossed him. This arc we learned about his troubled past and in this issue he went from Annakin to Vader in a matter of panels. Beware the power of high school football. Coach Boss should have followed in my footsteps and played tennis instead. 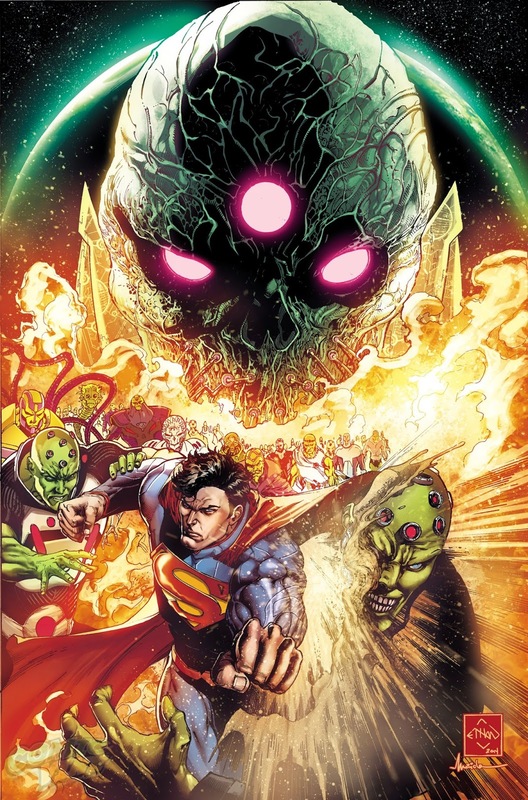 Convergence #0 - The event that will lead to the new new 52 began this week as Superman learned that Brainiac has been collecting domed cities from the various DC timelines in an attempt to allow editors to start over from square one, bring in new readers, and roll around in cash. I do like it when there is an effort made to bring in new readers, but I fear this is a slippery slope that will hinder the creativity of the authors. The event starts this week and it is looking like I will take a break from DC titles until June. 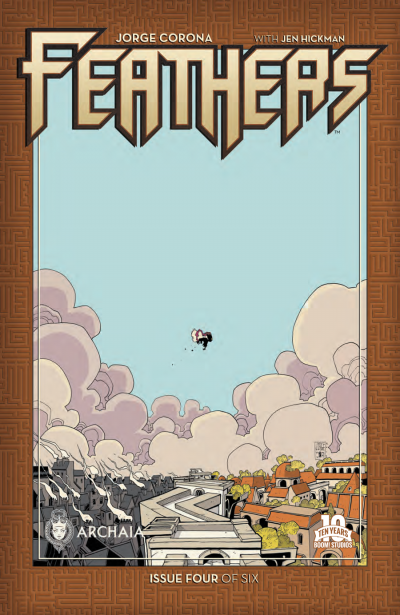 Feathers #4 - If the good folk at Laika are looking for a new project after the Box Trolls, I would sure love it if they considered picking up this title. Feathers is full of intrigue and whimsy, and took a very interesting turn this week. I don't want to spoil anything, but highly suggest you start reading this series. A mysterious stranger has been kidnapping the mice (homeless children) and nobody knows why. Bianca, a princess, runs away and meets Poe, a feathered creature who appears to be a child himself. Poe has been helping the mice from the shadows and has drawn the attention of the mysterious stranger. As we learn more about the world that Jorge Corona has crafted his story becomes more endearing. The best all-ages book currently being published.